Celebrity English: Jennifer Lawrence Skyrockets! This amazing Oscar winning actress continues to skyrocket with her recent box office sensation The Hunger Games: Catching Fire! She is now one of the youngest A-List Celebrities in Hollywood! But what is it about Jennifer Lawrence that makes her stand out from the crowd? Why is Jennifer Lawrence So Successful? And what is it about her that people love? Let’s take a look at this phenomenal lady! Despite being an A-List Celebrity, Jennifer Lawrence still openly takes fan requests on her official website. How her co-workers describe her: Her "Hunger Games" costar Woody Harrelson: "She is one-of-a-kind, man. She is so herself. I love how she doesn't censor herself. She says the most outrageous.... Just incredible, the stuff she'll say." Well known for being herself during interviews. Watch her meet one of her favorite movie stars for the first time! LOL! Lawrence graduated from high school two years early in order to begin acting. 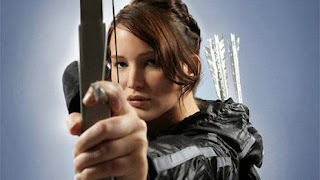 For her role as Katniss Everdeen in The Hunger Games (2012), Lawrence worked out twice a day and practiced archery. ... I don't diet. I do exercise! But I don't diet. You can't work when you're hungry, you know?… In Hollywood, I'm obese. I'm considered a fat actress. I eat like a caveman. I'll be the only actress that doesn't have anorexia rumors! I'm never going to starve myself for a part. I'm invincible. 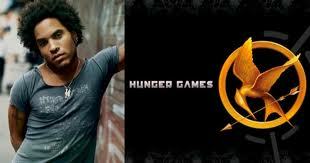 I don't want little girls to be like, "Oh, I want to look like Katniss, so I'm going to skip dinner!" Lawrence is also well known for praising her parents their financial sacrifices to help her career and dream begin. Also, brought her parents as her date to the 70th Golden Globe and SAG Awards. 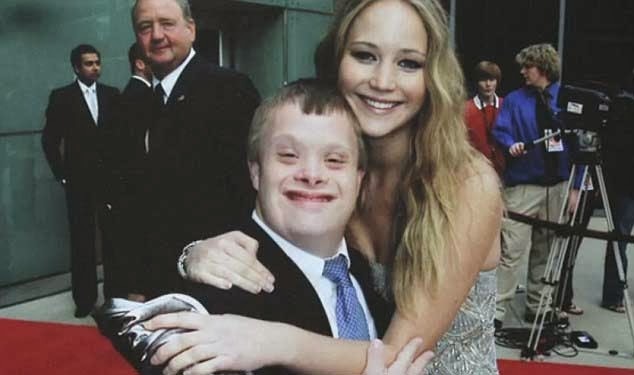 Jennifer Lawrence supports several charities such as the Special Olympics and St. Mary’s Center charities. Rolling Stone calls Jennifer Lawrence "the most talented young actress in America”. Donald Sutherland compared Lawrence to Laurence Olivier and also described her as an "exquisite and brilliant actor". Film director David O. Russell has praised her effortless acting that make her performances look easy. 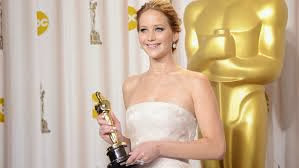 Jennifer Lawrence has won numerous Awards including an Oscar, Golden Globe, MTV, People’s Choice and so many more. And as for her nominations they are too numerous to count! Have a great week! Check the phenomenal Jennifer Lawrence in Catching Fire! Some Common Casual Language from the Jennifer Lawrence Feature at Celebrity English. Instructions: Write down the meaning of the words/expressions from the Jennifer Lawrence feature. I will post the answers next week. skyrocket = to increase quickly to a very high level or amount; to shoot up abruptly <Ex. Prices are skyrocketing!>. phenomenal = very good or great : unusual in a way that is very impressive. level head = exercising or showing good judgment. Why would I ever get cocky? = conceited or arrogant, esp. in a bold or impudent way; excessively proud of oneself. It's stupid. = lacking intelligence or common sense; not smart. She is one-of-a-kind. = someone or something that is unique and different from other things. <Ex. Nelson Mandela was an extraordinary person - absolutely one of a kind>. outrageous = exceeding the limits of what is usual; surprising. archery = the sport or skill of shooting with a bow and arrow. anorexia = a serious physical and emotional illness in which an abnormal fear of being fat leads to very poor eating habits and dangerous weight loss. obese = very fat : fat in a way that is unhealthy. My mom is big funny, = 'big funny' or 'big time funny' very or really funny. Very subtle = quite clever and indirect; not obvious. They are my rock. They are always there. = 'rock': a firm foundation or support. Her parents are a strong support for Jennifer Lawrence. 'to be there for someone': to be available to provide help and support for someone. 'there' in this case means in Jennifer's life when she needs them to help her. exquisite and brilliant actor = exquisite: accomplished, perfected <Ex.an exquisite gentleman.>. brilliant: very impressive or successful. 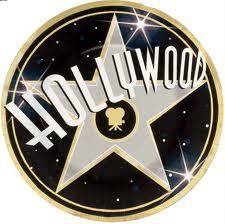 actor: a person whose profession is acting on the stage, in movies, or on television. What does the Hobbit say?